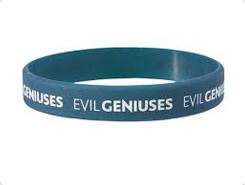 Screen-printed wristbands are the best answer for wristbands that require a particular engraved outline. Produced using top notch silicone, screen-printed groups convey your customized, marked message with your own design. Our custom silicone wristbands are tough, agreeable, and medically approved. The smooth surface of the band is composed of some text and graphics printed on it. 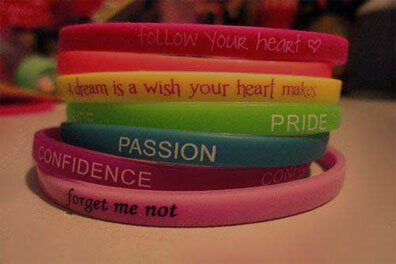 All this is done with the help of a thin layer of ink placed on the imprinted wristband. This process is mostly followed to accomplish the order for large quantity of wristbands but is can also be made smaller as per the need. The process provides variety of choices for colors and graphics imprinted. As we now that the thin layer gets easily worn off within few days and weeks, so this things need to be kept in mind while reviewing a technique to make a band. At WristbandBuddy, we offer guaranteed latex free screen-printed bands that are medically approved and non-allergenic. On time delivery, free packaging, no additional charges for art and design work and free shipping for the US customers are some of the services that make us stand out among all the other brands.